Of course, once again this book was so interesting, thrilling, surprising and entertaining that I couldn't go to sleep until I finished it. I find this happens to me quite often when I pick up one of your books and I don't want you to change a thing! 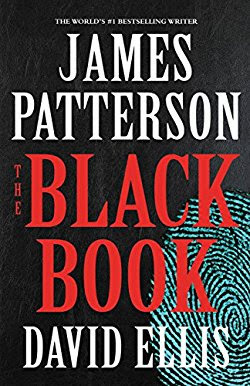 Here is my complete review of "The Black Book" by James Patterson; AMAZING, READ IT NOW! This is what I'm talking about when I say I love a high-quality Whodunit. This is what I mean when I say I love a great mystery. This one was truly a must read, page BURNER (my finger went numb from swiping). It had everything I love, enjoyable, real characters, interest with every page (it never once slowed down), a love interest (and I'm not a cuddly guy so leave my "Dude Card" alone) and the best part 100 mph twists, turns, and an amazing surprise ending I couldn't ever figure out. Sign into Goodreads to see if any of your friends have read The Black Book.